One great thing about Amazon’s Kindle Direct Publishing and Createspace services: they will let you publish anything. One terrible thing about Amazon’s Kindle Direct Publishing and Createspace services: they will let you publish anything. It’s called (among other things) Spamazon – when something hits it big, the me-too crowd comes along and puts out cheap knockoffs with deceptive titles to con the shopper into perhaps buying the knockoff instead of the original. Fifty Shades of Grey is a great example. Until enough people complained and enough cease and desist letters went out, you could find “50 Shades of Grey,” “Fifty Shades of Gray,” “50 Shades of Gray,” “Fifty Grey Shades,” and even “Thirty-Five Shades of Grey” on Amazon. This isn’t a question of parody (witness Fifty Shades of Grey Matter and Fifty Shades of Beige) but a slightly gentler form of plagiarism. Someone tries to capitalize on another author’s success by putting out something quickly with a similar title. Someone searching Amazon quickly might get confused and click on the wrong book. So how widespread is this problem? So widespread that it’s touched upon my circle of friends. 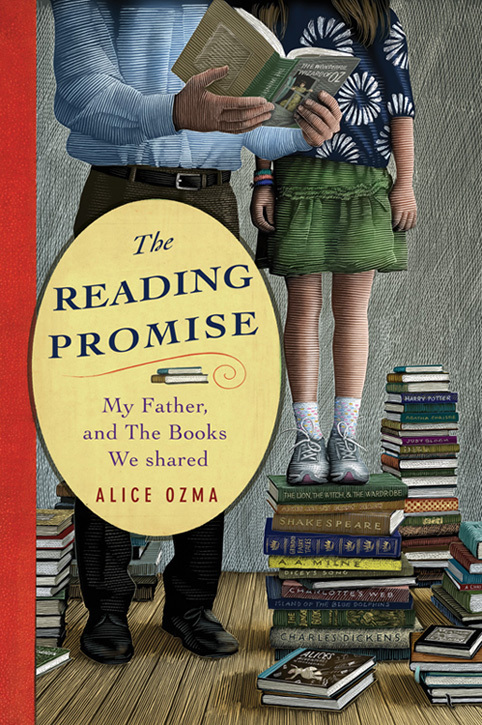 In 2011, my friend Alice Ozma put out a memoir entitled The Reading Promise. It carried two different subtitles depending upon the edition, either “3,218 Nights of Reading with My Father” or more commonly “My Father and the Books we Shared.” It’s the true story about a single father who promises to read to his daughter every night for 100 nights. And after those hundred nights are over, they keep going until she leaves for college. Response to her book was immediate and amazing, the kind of acclaim that most of us authors dream about. It got rave reviews, was shortlisted for prizes, and spawned a whole movement of getting parents to read with their children. It’s even being made into a motion picture. So what reward comes from all this success? Last month, a 38 page book quietly slipped into the “stacks” at Amazon. It’s a fictional story about a mother who reads to her son every night. Sound familiar? Guess what the title was. Aw, you guessed it. Probably even before you looked at the picture didn’t you. After three years of notoriety, acclaim, and time spent on the best seller charts, a writer stumbles upon the same exact concept (just gender reversed) and the same exact title and quickly rushes out a book. As people hear about this charming book about a father and daughter reading every night, they will go search on Amazon. Maybe one out of a hundred might click on the knockoff instead of the original. That is enough of a response to make some real money when you consider how many people might be looking for the original. Especially once the film comes out. The tactic seems to be working, too. As of this morning, the knockoff is at #281,749 on the Kindle charts while the original is at #100,382. Like any legitimate author, I am opposed to Spamazon knockoffs. Even when the author being robbed from isn’t someone I know. So I did what any conscientious Amazon shopper would do: I wrote a review to help dispel the confusion. This book is a direct ripoff (down to the title) of “The Reading Promise: My Father and the Books We Shared” by Alice Ozma and Jim Brozina. Don’t reward plagiarism; go buy the original instead. Yep, I went there. I used the “P” word. And I stand by it. You put out a book with an identical premise and identical title to a best seller, you are a plagiarist. You are trying to make money off of another person’s hard work. The writer in question posted a response to my review on Amazon, as is his right. I could tell right away that I had hit home. Uh, huh. First off, when you have an idea it’s good practice to go make sure it hasn’t been done. I’ve had lots of concepts that I didn’t develop because someone got there before me. It’s common. Uh, huh. Yes, there are many books called The Promise. But there are only two entitled The Reading Promise. And those books carry identical concepts, with only the gender of the characters reversed. I’m sure you are aware of the fact that I’ve read your defamatory comments about my book online. I take defamatory comments very seriously, so I respectfully ask that you please take them down. I’m not sure if you actually read my book, but if you have you certainly know that the content (right down to the genre) is not like your friend’s book in any way; is she aware of what you are doing? As you likely know, book titles are not copyrighted. Take a look at your book “Norton Hears a Who,” which only changed one letter from Giesel’s title. The fact that I happened to use three of the words from her ten-word title, one of which was “the,” certainly does not constitute plagiarism. When I titled my book, I did not know that her book existed. You released a book with identical concept and identical title (the title of Ms. Ozma’s book is “The Reading Promise,” and had two separate subtitles during its publication history) to a book published three years prior. A book which was not only widely reviewed and received extensive publicity, but is currently being developed into a motion picture. It’s safe to assume that a book released three years after another with the same title and the same concept (only gender reversed) is purely intended to deceive the customer into purchasing the new book instead of the original. No, titles are not copyrighted. But concepts connected to titles are. 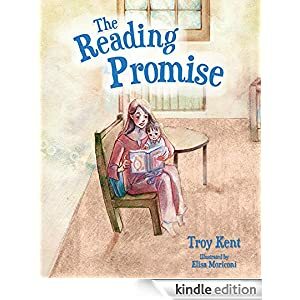 Ozma’s The Reading Promise is a story about a parent reading to a child. Your The Reading Promise is about a parent reading to a child. Published three years after the first, after the former had entered development for a motion picture. Were I to put out a 30 page murder mystery entitled Stinky Blinky: The Mysterious Case of the Gas We Pass about a detective on the trail of a strangely flatulent child, you would have a case against me. And would have a right to point out the similarity in a review on a bookseller’s website. As I did with your knockoff of Ozma’s book. Although a good case might be made that my work would be a parody, something that can hardly be used as a defense of your work. One of the first things an author should do when writing is to use Google. Any search at all for your title over the past three years would have returned dozens to hundreds of hits about Ozma’s book, which should have prompted you to pick another title. That you did not suggests an intent to deceive, either on your part or your publisher. As for your comments about Norton Hears a Who and Other Stories, you might want to consult a dictionary for the word “homage.” No one in their right mind would mistake a collection of a daily comic strip for a Dr. Seuss book. I made no effort to pass it off as such. And the concept of the six strips within the collection that lent the book its title (namely an insane historical figure thinking a flower is talking to him) is not an attempt to deceive book shoppers but a homage bordering on a parody of the original. On the other hand, you released a book with an identical title and identical concept, not a parody nor an homage. I stand by my review. Oh, and by the way…. For future reference, sir, this is how you handle a one-star review on Amazon.